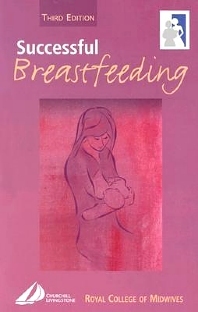 A fully revised and updated edition of this successful guide to breastfeeding. A short, succinct authoritative, pocket book guide to the how and why of breastfeeding. Written by a group of experts in infant feeding brought together by the Royal College of Midwives. This is an invaluable source of information for midwives, health visitors and others supporting breastfeeding mothers as well as the mothers themselves. Preface. Introduction. The background. Why breastfeed? Understanding how a baby breastfeeds. Duration and frequency of feeds. Correct positioning and attachment of the baby at the breast. Factors that have been shown to help. Factors that have been shown to be unhelpful. Protecting breastfeeding. Antenatal and postnatal considerations. Notes on less common problems. Breastfeeding under special circumstances. Appendix 1: The Ten Steps to Successful Breastfeeding. Appendix 2: Voluntary organisations. Appendix 3: Breastfeeding initiatives in the UK. Appendix 4: Further reading. Appendix 5: Health benefits of breastfeeding. Index.